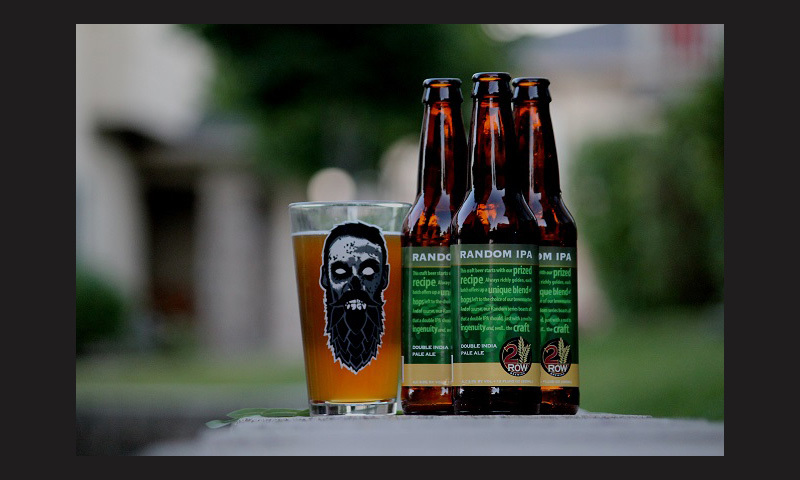 Description: Random DIPA is 2 Row Brewing Co.’s only beer that experiments periodically with different hop blends, while always keeping the original malt base. This #2 version has Mosaic and Simcoe hops, which are known for their complex array of tropical fruit, citrus, berry, herbal, earthy and pine characteristics. The nose on this beer has a spicy nuttiness and a distinct fruitiness brought on by the Mosaic hops. The taste starts with slightly toasted caramel malt that gives way to the aforementioned spicy/nutty flavors and is rounded out by somewhat bitter hops with hints of orange and pineapple in the end. The finish is slightly crisp and prickly. Overview: One of the great things about beers like these is that they give you an education on how different hop blends can greatly alter not only the bitterness of a beer, but, the perceived fruitiness that comes from these wonderful bittering flowers. Look for the batch number on the side window of Random DIPA bottles.